Inferno Rush (4-2-0) hosts Worcester Smiles (1-6-0) this Sunday, July 1st at 3pm at Millersville University (Pucillo Field). The team competes in the United Women’s Soccer (UWS) national pro-am league featuring current/post collegiate players & aspiring/former professionals. Enjoy watching high level soccer & eating tasty bites from the MU food truck. This family-friendly event offers an enjoyable experience for all ages, including halftime contests & door prizes! 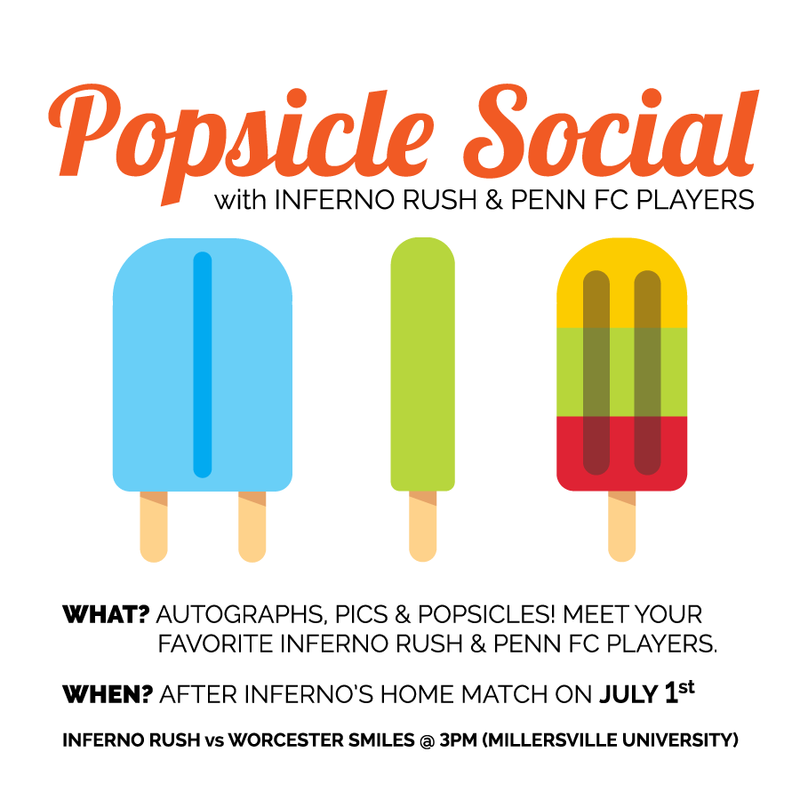 Stay after for our popsicle social and meet your favorite Inferno Rush & Penn FC players! Penn FC players will be in attendance, and they will be giving away free tickets to their 7/9 match. United Women’s Soccer (UWS) is a national women’s soccer league sanctioned by U.S. Soccer. UWS is a professionally operated league created for teams that meet high minimum standards. The season runs from May until the end of July, culminating in a National Championship match. The UWS player pool is comprised of college players, aspiring & former professionals and international stars.